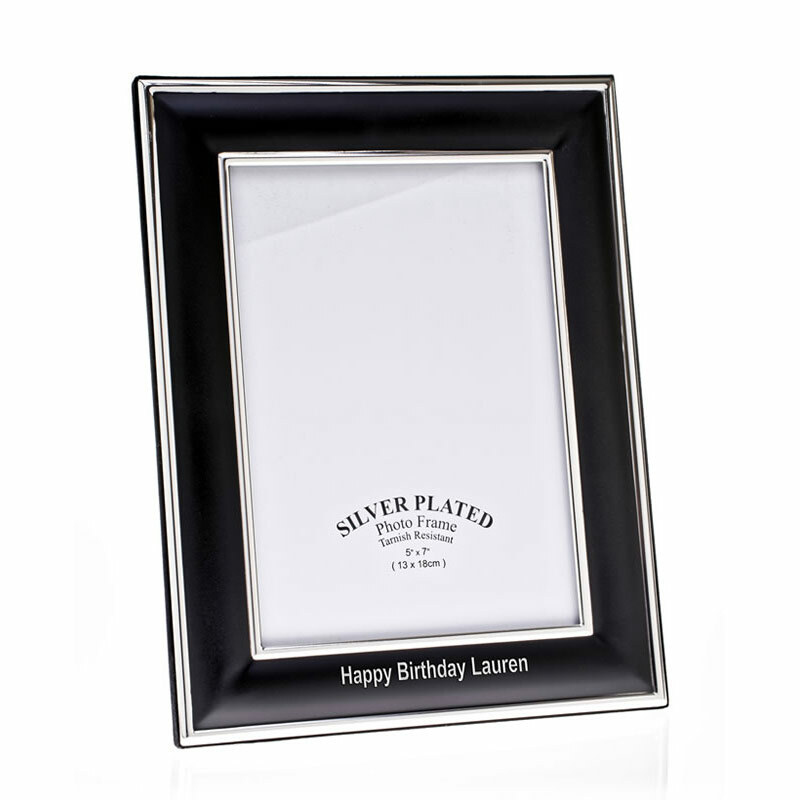 A quality photo frame with stylish black and silver plated border. These frames are sized to display a 6in x 4in image and can stand in either landscape or portrait orientation. The border is tarnish free and can be engraved to create branded corporate items. Text and logo engraving is free of charge.